This Beige and Black Burberry Tartan Plaid Cat Collar comes with breakaway collar hardware and a bell. 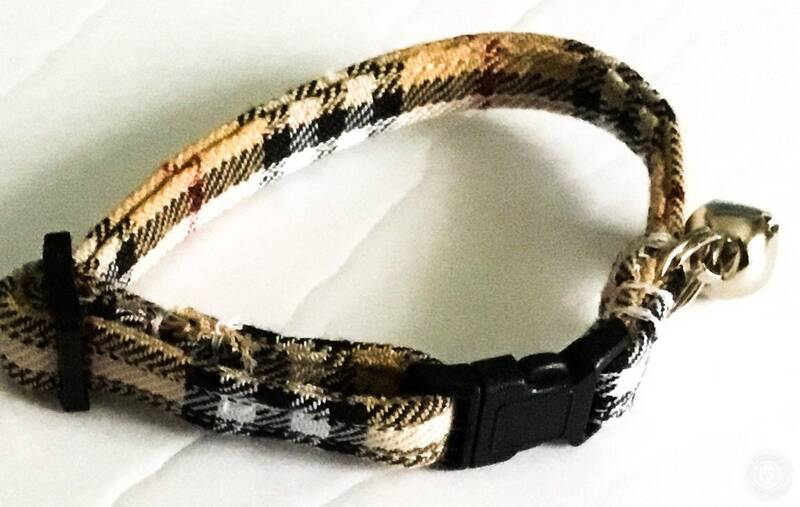 Black hardware was used on this breakaway beige plaid cat collar but multiple buckle color options are given to you when ordering. (1/2”W and 5/8”W bands are available with 1/2”W and 5/8”W black breakaway hardware. Please contact me via email if you would like a larger width collar for your kitty.) A matching bow tie or flower can be purchased with this cat collar in the options when ordering.